Women’s Property Initiatives (WPI) is a Community housing developer and registered housing provider creating homes that will enable low-income women and their children to live with dignity as contributing members of local communities. WPI currently manages 84 properties with ongoing expansion expected in the near future. WPI is looking for a woman (Human Rights List Exemption H246/2016) to provide management of tenancies, records and reporting, property maintenance, contractor management, maintenance tracking, input into asset management and other administrative support for the organisation. Women’s Property Initiatives (WPI) is an innovative social housing developer and manager of properties that provides female-headed families on low to moderate incomes appropriate housing options to enable them to live with dignity as contributing members of local communities. It’s mission is to build a future for women and children in need by developing and providing good quality, long term, affordable housing. Click here for details on how to apply for this role. Evolve Housing is seeking a full-time Communications and Public Relations Officer. Reporting to the Senior Manager – Marketing & Engagement this position is responsible for providing timely and professional communications and public relations support to the business by contributing to the development of the social media strategy and proactively develop and maintain relationships with media contacts and key stakeholders. You will primarily be responsible for maintaining high-quality editorial content, providing proof reading and editing support to the business unit and updating website content using WordPress. You will also need to identify opportunities for engagement with media, Government, industry and partner organisations and develop media releases, case studies, articles, speeches, submissions, presentations, fact sheets and other written and digital resources. Launch Housing is looking for a patient, yet passionate, person to join its dedicated team supporting families living in its South Melbourne crisis accommodation and in the community. 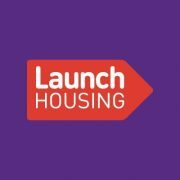 Launch is looking for someone who understands homelessness and wants to work with people in the community to address barriers to long term, sustainable housing. If you are empathetic, organised, enjoy collaboration and working with people in their space, this is the job for you. Fixed term, full time role until 2/11/2018 (maternity leave cover), $62,900 +Super, salary packaging benefits & additional leave. Position description and application details are available here.